We invite applications for grants from individuals or organizations to support work that advances the freedom, equality, and social inclusion of homosexual and bisexual women and men, and transgender and intersex people. We invite applications from outstanding individuals to get involved in making decisions about grant allocations by the Other Foundation. 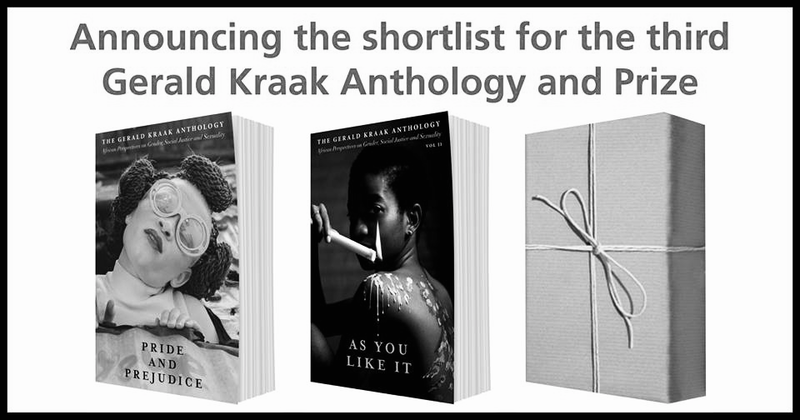 After reviewing close to 500 entries from across the African continent, the Jacana Literary Foundation has announced the judges’ selection for the third Gerald Kraak Anthology, this year named, The Heart of the Matter. 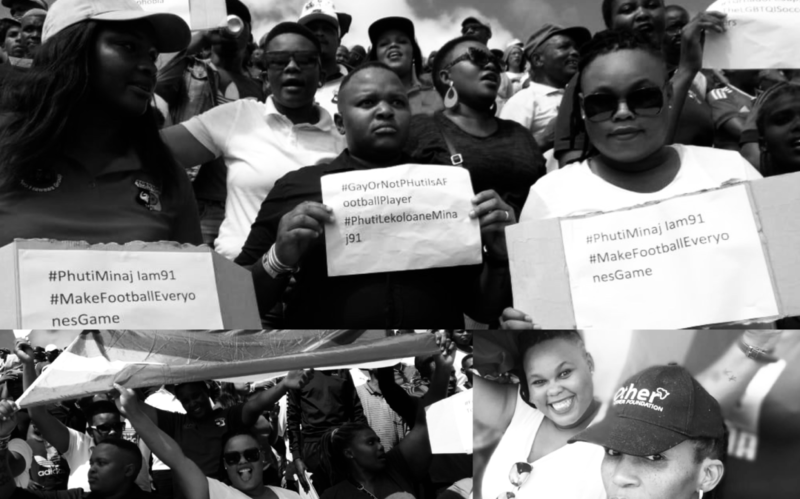 Tornado FC players and fans band together to fight homophobia and discrimination in football, in support of their openly gay goalkeeper Phuti Lekoloane, during South Africa’s Nedbank Cup match against Kaizer Chiefs. We attended the match and supported their “Say NO to homophobia” campaign. Thank you for your active involvement in our community this year. With your support, we have cast a wider and deeper net to help build a movement of activism across southern Africa – from Luanda in Angola to Port Louis in Mauritius, and from Mzuzu in Malawi to Cape Town in South Africa. The Other Foundation partners with Facebook on its inaugural South Africa NGO Day, aimed at bringing together local NGO communities in a day of learning and networking. 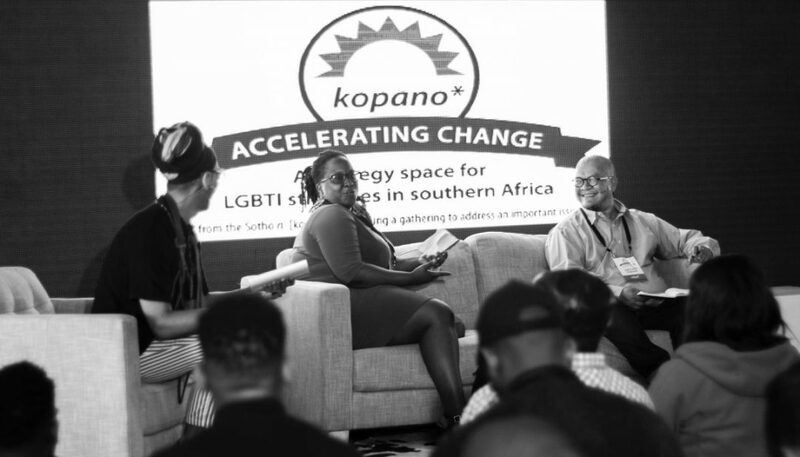 Many are calling kopano – Accelerating Change, the best LGBTI convening of all time. Couldn’t attend? No sweat! We captured on video all the plenaries, key outcomes and all around magic for you to watch. 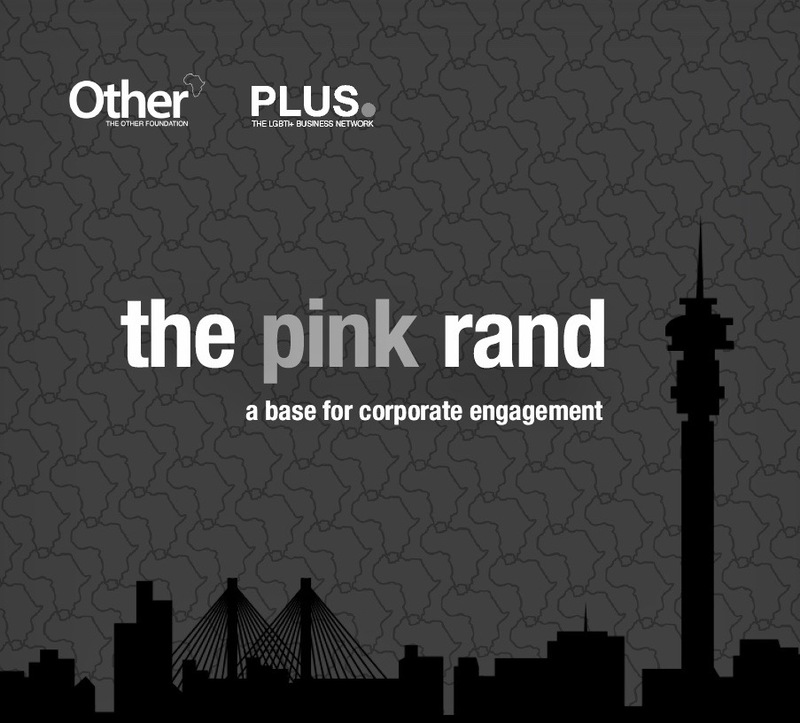 Estimating the value of the pink Rand is critical in building the case for more advances in getting the private sector to move faster in opening space for the LGBTI community, and creating safe spaces in cities and workspaces. A public debate is raging about how churches can spread homophobic hatred, or promote respect and inclusion based on the equal dignity of every person. 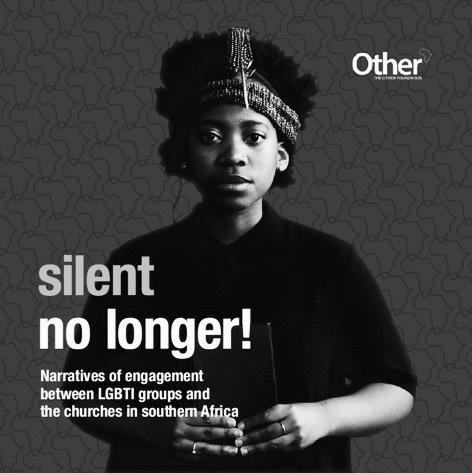 Our new report, Silent no longer!, examines the types of engagement churches have with homosexual men and women, and transgender and intersex people in southern Africa. Homophobia has become a site of painful struggle in the churches, in much the same way as slavery, racism and sexism was in the past. 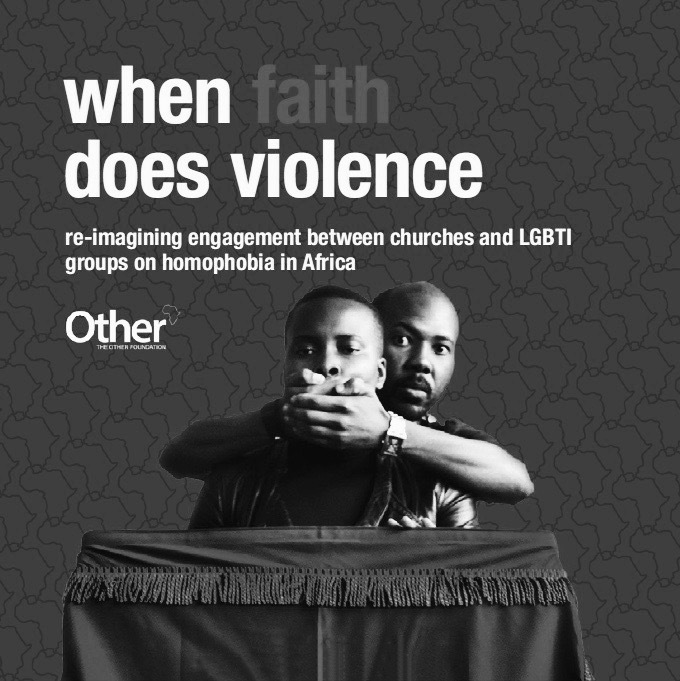 When faith does violence, a new reflection paper by African Christian scholars, reflects on how churches can become liberating rather than oppressive, redemptive rather than violent towards homosexual women and men, and transgender and intersex people in Africa. All ten country reports in our Canaries In The Coal Mines studies are now available. 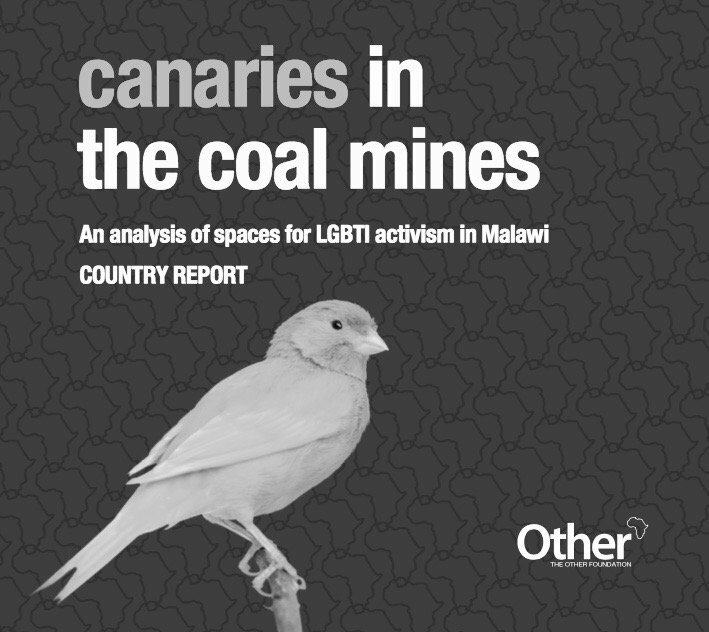 What is the state of lesbian, gay, bisexual, transgender and intersex organizing and social inclusion, in Angola, Botswana, Lesotho, Malawi, Mauritius, Mozambique, Namibia, Swaziland, Zambia, and Zimbabwe? There is a general belief that African people are deeply homophobic and unaccepting of gender diversities. But what does the African public really think? The truth is that we don’t really know because hardly any work has been done to gather and analyze the views of the public in a structured way in Africa. Until now. A Million Ones is a community giving campaign to directly support lesbian, gay, bisexual, transgender and intersex (LGBTI) projects. The ask is small so that everyone can participate. 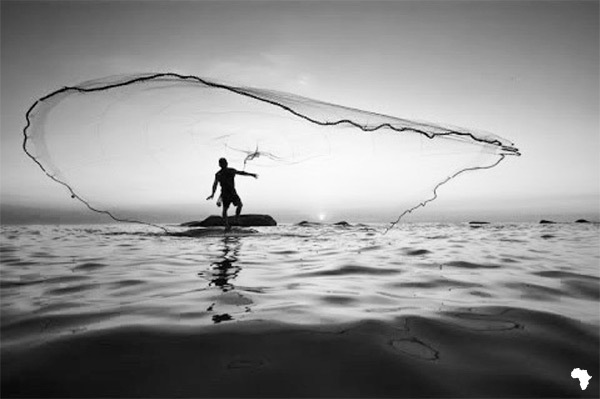 Everyone should be free to live a safe and dignified life, have a family and make their contribution to society. The Other Foundation works to change the views, practices and institutions that prevent people – because of who they are or who they love – from being able to do that in southern Africa. We gather support for those who are working to protect and advance the rights, wellbeing and social inclusion of people of all sexual orientations and gender identities – and we give support in a smart way that helps groups to work better for lasting change. 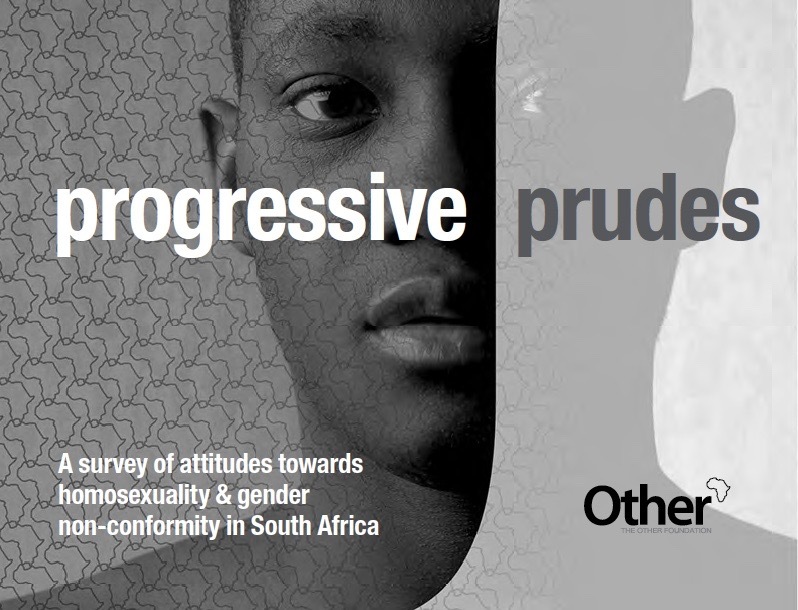 The Other Foundation is an African trust dedicated to advancing human rights in Southern Africa, with a particular focus on lesbian, gay, bisexual, transgender and intersex (LGBTI) people. Our primary purpose is to expand resources available to defend and advance the rights and well-being of LGBTI people in the Southern African region. We do this by working both as a grant-maker and a fundraiser. Read our full mission statement here. The Atlantic Philanthropies has provided a generous start-up grant over a five-year period to cover all operational costs, subject to the Foundation being able to raise additional funds from other sources. More information about how we started can be found here. The Foundation is pleased to announce the outcomes of its inaugural round of grant making. The Foundation allocated 32 grants, totaling around ZAR3.1 million, for work that will advance the rights and improve the well-being of LGBTI people in Southern Africa. Organisations and individuals were given grants ranging from ZAR10,000 to ZAR500,000. Click here to see a full list of grants that were allocated. 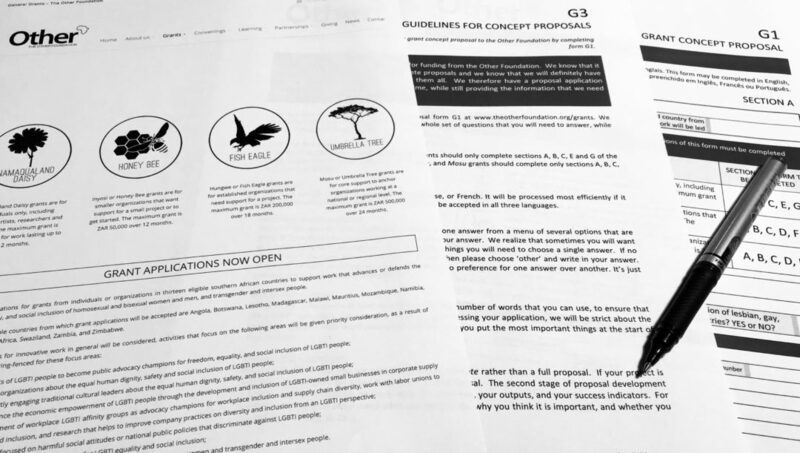 The Other Foundation wanted its first grant making initiative to be a truly transparent and participatory process. Rather than consider grant proposals entirely on its own, the foundation’s board asked the public to nominate a panel of peer reviewers to help review and assess grant applications. The 12 peer reviewers chosen formed a diverse group from six countries in southern Africa. They worked in four teams, each facilitated by a board member, to decide which projects to recommend for funding. This gave meaningful expression to the identity of The Other Foundation as an LGBTI community foundation. Click here to see who the peer reviewers were in the grant making process.Click here to see a report about the development, implementation, and outcomes of this unique grant making process. The report will be of interest to foundations and philanthropists interested in more accountable and transparent ways of making grants. The funds for the pilot grant-making initiative have come from personal gifts from 18 individual donors who visited South Africa early in 2014 to find out more about the amazing work that activists are doing to defend and advance the rights of LGBTI people in Southern Africa. 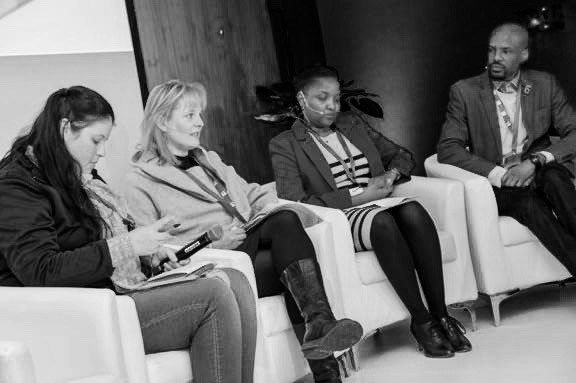 The Atlantic Philanthropies matched the funds raised from this donor tour, providing The Other Foundation with close to ZAR4 million to give out as small grants to individuals and organisations across Southern Africa. A range of fundraising initiatives were launched in 2014. All funds that are raised will go to programming and grant-making as our operational costs are fully covered by the Atlantic Philanthropies for the next five years. We would love to hear from you if you have any questions or comments. Answers to some frequently asked questions about The Other Foundation are answered here. Please contact us either by email, phone, or letter. Details of how to do that are on our Contact Us page. Human rights activist with a legal background. Active in church groups that promote greater understanding of diversity and human rights in a multi-cultural context. Counseling psychologist and senior psychology lecturer. Former director of the transformation and employment equity office of Wits University. Educationalist interested in the use of new technologies and a leadership coach. Technical support director in the South African government’s basic education department. Economist, policy researcher, and entrepreneur with a corporate and investment banking background. Print media columnist on social and economic development issues. Project management and programming specialist with a background in women’s and human rights of sexual minorities background. Co-founder of the Women’s Alliance for Equality. Print, radio and television journalist with a strong commitment to amplifying the concerns of women. Media freedom activist. Mozambican human rights activist. 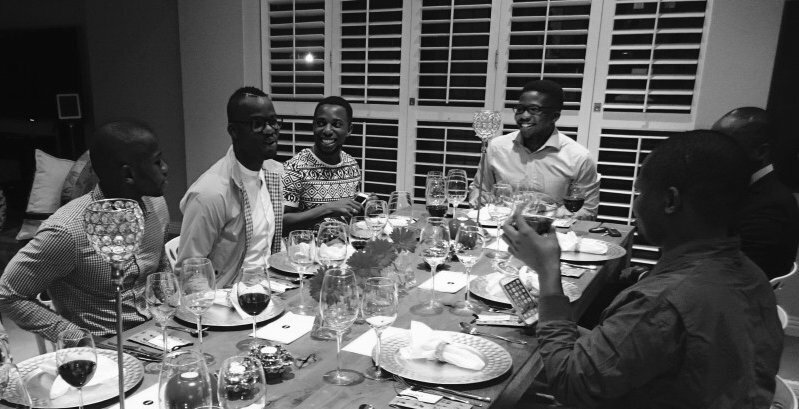 Instrumental in setting up Mozambique’s leading LGBTI organisation. Democracy and governance specialist with a focus on electoral systems. Organisational development, monitoring and evaluation, and project design specialist. Researcher and consultant on philanthropy development. Co-founder of Arquivo de Identidade Angolano (the Angolan Identity Archive). Technical advisor on projects working to overcome stigma and discrimination in the provision of health services. African philanthropy development practitioner, experienced grant maker, economic justice activist, and civil society strategist with a track record in establishing successful organisations. Chief executive officer of The Other Foundation.